As I have mentioned before I am against animal testing and really struggle to find products that are not only suitable for my skin but also cruelty free. I think I have finally found some! A while ago I blogged about needing a new foundation so I finally treated myself to Benefit's 'Hello Flawless'. I've used it before but I forgot how much I love it. As it's a powder it's nice and light but still gives amazing coverage. It's also suitable for horrendously sensitive skin like mine which makes a nice change. A decent cleanser is always hard when you're against animal testing. Superdrug are amazing for things like this but my heart will always go to Lush. 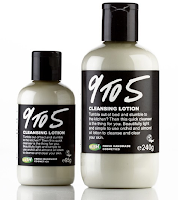 I had never used their 9 to 5 before and was a bit dubious because my skin tends to hate anything that isn't a facewipe but I gave it a go and it's brilliant. It's a milk cleanser so it's light and leaves your face feeling really soft. It says to use directly onto the skin and remove with cotton pads but I have been using it as a wash instead and am very happy with the results. Sadly I have reached the age where I need to start moisturising *weeps*. It a sad time, I know. To be honest I am yet to find a day moisturiser that works for me but I love my night creme. 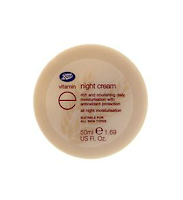 It's Boots own brand so is cruelty free and unlike most night cremes it isn't too heavy so I don't feel uncomfortable at night. Always good. 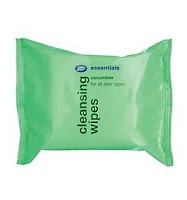 When I'm in a rush I tend to stick to either Superdrug or Boots own brand cucumber wipes. They're great when you're on the go or on your way to a festival and they're nice and cooling. They're also great for sunburn as I have just found out! Do you have any cruelty free recommendations? I'm still looking for that moisturiser!